BEHIND a country’s wealth and success are the policies that create its possibilities, the people that drive its efforts and the perspective or world views that shape its values. 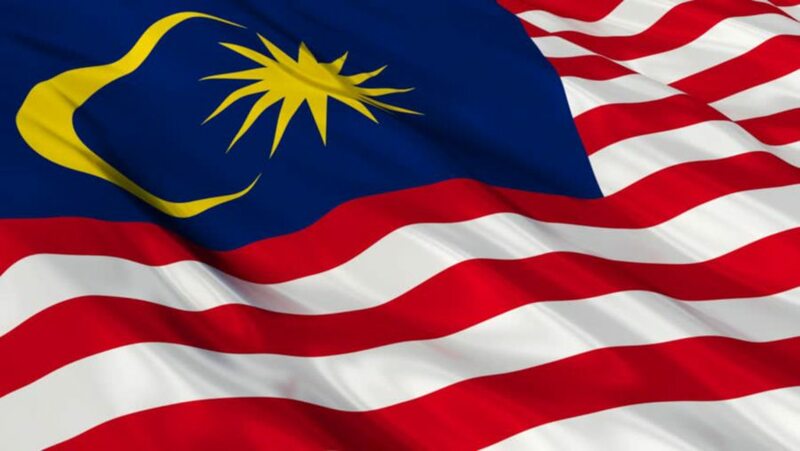 For Malaysia, the history of its post-independence national development began with the New Economic Policy (1971-1990), followed by Vision 2020 (1991-2020). Two years from now, there will be another milestone for the country’s development policy with the implementation of the National Transformation 2050 (TN50), which will cover 2021 to 2050. Malaysia, through TN50, is set to rise from being labelled a developing country to become a leading nation in terms of economy, its citizens’ well-being and its ability to generate ideas. Specifically, TN50 aims for Malaysia to be ranked among the top 20 countries by virtue of economic development, social progress and innovation. This target reflects the aspirations of Malaysians, particularly those aged between 15 and 40. The world is likely to be very different and more challenging in 2050. For example, the global population will reach 9.6 billion, with one out of every six people aged over 65. We will go through another industrial revolution, where computers will become better and cheaper, and they will be available everywhere. There will probably be a transformation in the urban landscape, where modern skyscrapers may be designed with internalised creation of food, water and other resources. Perhaps it is time for Malaysians to embrace the future and gear up with all the necessary skills and resources laid out in TN50, which provides a sense of direction for the country and outlines how people can contribute to the national agenda. But the question is, how should the nation itself change in order to realise its development goals over the next 30 years? What remains unclear are the qualities needed to be in the top 20, as well as the path we should take in pursuit of TN50’s goals. In an era when money, influence and people can shift anywhere, a country has to work hard to retain talent, grow businesses and attract quality investments. Hence, the idea of branding a nation, which emerged in the 1990s, has grown into a new business field that produces various indices and metrics for the ranking of countries. Nation branding is the practice of constructing and communicating a unique image about a specific country to the rest of the world through public diplomacy, trade, promoting exports and tourism. In building a brand or identity, countries participate in international rankings and may compete against each other like corporations or business brands do. The goal is to develop a unique perceived identity even if it is a mixture of lies and illusions. Nation branding is not a simple task because it is international. It is argued that at the national level, leaders can embrace political symbols that ignore daily reality and externalise domestic problems such as economic hardship. However, it is hard for governments or businesses to manipulate foreign audiences because the narratives are more transparent and subject to public scrutiny. Simon Anholt, the founder of the Good Country Index, criticised the consequences of nation branding, because countries need to perform as if they were products in a marketplace. According to Anholt, nation branding “encourages so many countries, who really can’t afford it, to blow wicked amounts of money on futile propaganda programmes, and the only people who benefit are these beastly PR agencies”. It is interesting that branding, which is rooted in the ancient practice of marking livestock with branding irons to differentiate the animals, has evolved into branding for all types of products, places and services. The term even applies nowadays as a form of social engineering through the branding of a nation. Nevertheless, nation branding can be a powerful tool to move a social agenda if it is genuinely and properly implemented. It works as a scorecard for leaders to measure and monitor the performance of their countries on the global stage. The TN50 discussions have been focused on making Malaysia a top 20 country by 2050. The tricky part is to be unique and distinctive, and yet be a successful nation as measured by universal value indicators. When nation branding goes wrong, the impact can alter the meaning of place, the fabric of society and its collective identity. In the spirit of achieving TN50, the nation ought not be ranked like Coca-Cola or Nestle or any other corporate brand. The national identity needs to be constructed with a sense of real heritage and authentic values, along with science and economic advancement. The “Malaysia, Truly Asia” tourism campaign, in this case, augurs well in defining the essence of the country’s unique diversity of cultures and traditions. In addition, of course, the Maqasid al-Shariah (Islamic objectives) shall remain in place, where everyone has their own right to co-exist in peace. ARE you easily annoyed? What does it take to get you annoyed? Personally, I find that most annoyances are quite easily ignored (which is why I don’t use any form of social media). Most annoyances are, except for that idiot with a ridiculously loud exhaust system who insists on revving his engines in the wee hours of the morning as he tears down the road in front of my house. The reason I raise this is because it is actually a crime in this country to be annoying. You don’t believe me? Well then, allow me to quote the Communi­cations and Multimedia Act 1998, specifically Section 233, which states that it is an offence if a person intentionally uses the Internet to make “any comment, request, suggestion or other communication which is obscene, indecent, false, menacing or offensive in character with intent to annoy, abuse, threaten or harass another person”. You can get a pretty hefty punishment if you are found guilty. 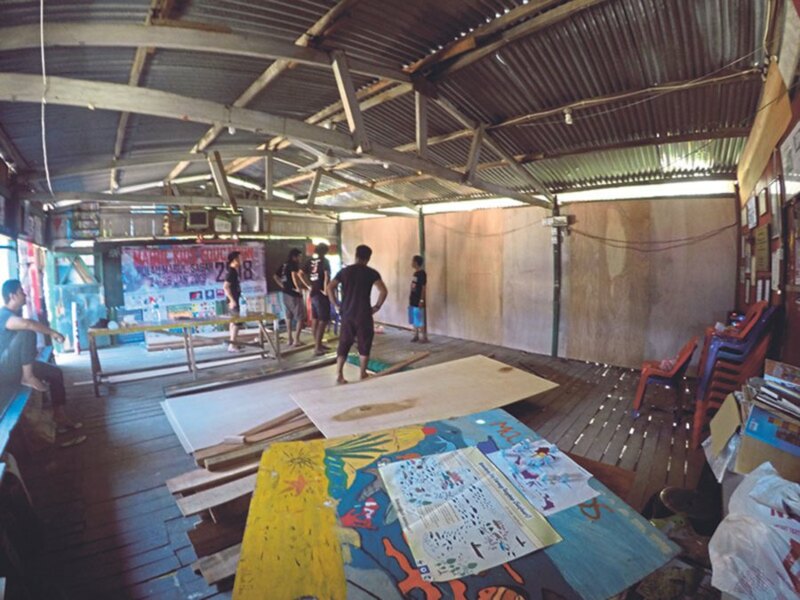 Fahmi Reza, the artist, was recently slapped with a 30-day jail sentence and a whopping RM30,000 fine under this law. And according to the police, the rapper (I must admit to giggling every time the term “rapper” is used on a person who is not African-American) Namewee is being investigated under the same law. Both men were deemed to be offensive and annoying, I suppose – Fahmi for a spot of drawing and Namewee for a bit of music video making. I have of course seen both works. One is an obvious satirical dig at a person of power and another is either a more subtle dig at corruption or an advert for dog masks, I am not quite sure which. The point is, it seems ridiculous that such things can be seen as a crime. Now, don’t get me wrong. The Internet is used for all sorts of nefarious purposes and this law was meant to deal with such things. Threatening a person is not cool. Neither is sharing photos of people who at one point trusted you. But these two men were both being critical of government via satire. Could a law meant to be used to protect people from vindictive exes and criminals be used against government critics? Or to ask a more accurate question, should it? I would say absolutely not. There are many ways to show displeasure at a government, and other than using violence or inciting violence, anything goes. This includes satire. It is part and parcel of the democratic process. Criticism, no matter how biting and crude, is something those in the public eye, especially those who wield power, will simply have to deal with. There is no place for using criminal law against such practices in a democracy. There are limits to free speech, of course, but as was stated by the US Supreme Court, voices that are critical of public figures, particularly in matters of public interest, must be given as much freedom as possible with the highest level of protection. Now, some will say that satire is not “our way”. Well, I am sure there are historians and cultural anthropologists who could point out this is not so. I remember, for example, an old P. Ramlee movie that poked fun at a ruling political party. But for me, that is not the point. If it is not “our way”, then you can criticise it, you can shun it, but if you criminalise it, then you are in effect placing another shackle on our democracy and stifling our freedom of expression. KUALA LUMPUR, Feb 27 (Bernama) — The results of the 2017 Sijil Tinggi Persekolahan Malaysia (STPM) examination will be announced on March 6, said Malaysian Examinations Council chief executive Mohd Fauzi Mohd Kassim. He said school candidates can obtain their results at their schools from noon on that day while private candidates will get them in the post. “The candidates can also check their results through the short messaging system (SMS) by typing STPM RESULT and sending it to 15888. “The results can also be obtained from the Malaysian Examinations Council portal http://www.mpm.edu.my,” he said. A total of 43,042 candidates sat for the STPM last year at 700 centres throughout the country, with 42,694 (99.19%) from government schools, 204 (0.47%) from private schools, 136 (0.32%) being private candidates and eight (0.02%) from state government schools. MALAYSIA’s commitment and dedication to the advancement of women is evident in many of its programmes and policies in the last three decades. But, while there is progress, it is not fast enough. Many women have broken the glass ceiling, but in some cases, it is only a temporary effect. Up to June last year, women accounted for just 17.9 per cent of the boards of directors in the top 100 listed companies on Bursa Malaysia. What is it that holds women back from contributing their full selves? A study by the World Bank on Malaysian women participation in the workforce found a pattern that suggested Malaysian women older than 26 were more sensitive to life-cycle transitions as compared with other countries. Married women, regardless of whether they live in urban or rural areas, participate the least in the workforce. Malaysian women retire earlier than their male counterparts, which the World Bank attributes to women being caught in a double burden syndrome of managing the home and caring for their children, or the elderly, even if they hold full-time jobs. Another contributing factor is that women who leave the workforce after the age of 26 will never return. Sadly, not only is 26 the prime age to have children, it is also the prime age to build a career. With a great number of women leaving the workforce to focus on family, the pool of women talent to fill top management jobs also shrinks. It is also relevant to take into account that mothers, by default, are seen to be the primary, and sometimes only, caregiver, as per entrenched in our labour laws. Women are entitled to 60 days of maternity leave under the law, but there is no provision for paternity leave. Although certain private companies offer three to five days of paternity leave at their discretion, and government offices mostly offer seven to 14 days, this is insufficient for husbands to be a partner to their wives in raising their children. There are, however, companies that offer one-month paternity leave. The recommendations by the government to increase maternity leave to 90 days during the tabling of the 2018 Budget is laudable. The Society for Equality, Respect And Trust for All (Serata) supports the recommendation by the Women, Family and Community Development Ministry and Malaysian Trades Union Congress to extend paternity leave to one month. Studies done by the Organisation for Economic Cooperation and Development (OECD) have shown that gender inequality in unpaid care work is the missing link in the analysis of gender gaps in labour outcomes, such as labour force participation, wages and job quality. Serata believes that to achieve gender parity at work, we must first tackle the inequality in the labour law and workplace policies by including paternity leave. It will reduce gender inequality in the home by encouraging men to be more active in childcare, as per a study of four OECD countries. Prof Datuk Dr Teo Kok Seng, a Bahasa Melayu professor says ethnic relations are now at a challenging stage. The challenges are primarily posed by the non-Malay youths who often question Malay traditions and refuse to accept Malay traditions. IPOH: The deterioration of the level of unity and ethnic relations in Malaysia can be attributed to the country’s multi-stream education system. He said this stemmed from the education system, specifically the availability of multi-stream schools which allow for ethnic segregation at a very young age. “Ethnic relations are now at a challenging stage. The challenges are primarily posed by the non-Malay youths who often question Malay traditions and refuse to accept Malay traditions as being among the key components of national development. “The level of ethnic relations in Malaysia is akin to the phrase, ‘Kenal Cina’. What the phrase means is that the relationship is superficial and only at surface-level; this ties back to our education system,” he said while presenting his working paper on Malay traditions and the Constitution on the final day of the Sultan Nazrin Muizzuddin Shah Muzakarah 2018 at the Aman Jaya Convention Centre here today. Universiti Kebangsaan Malaysia’s Principal Fellow of the Institute of Ethnic Studies Prof Datuk Dr Teo Kok Seng (left) listens during a session at the Sultan Nazrin Muizzuddin Shah Mahmood Muzakarah 2018 in Ipoh. Pic by MUHAIZAN YAHYA. He said the act of allowing ethnic segregation at ages as young as five, from pre-school level to primary schools, which have three streams, will make it difficult for students to mingle when they eventually meet at secondary school-level. “This (poor ethnic relations) must be addressed and it must head towards a single stream education system, as practised in neighbouring countries such as Singapore, Indonesia and Thailand. “We have to dismantle the education system so that it becomes a single stream. Anywhere in the world, a single stream education system is used to unite the youths and create a nation with a single identity,” he said. He said, what is even more disheartening is that, even in a country with a multitude of education systems, there is still a section of society who fail to possess a decent command of Bahasa Melayu despite it being the national language and effectively, the backbone of the nation. “This is not right. As a citizen who cannot even master one’s own national language, what meaning does your citizenship hold? This is a very serious national matter but it is not raised by politicians for several reasons. By SHAARANI ISMAIL and MUHAMMAD APENDY ISSAHAK. SIDMA College UNITAR Sabah 2018 First Staff gathering was held in conjunction with the ushering climax of 2018 Chinese New Year Celebration at SIDMA College UNITAR Sabah. The highlight of the special event held on 23rd February 2018 at SIDMA Atrium was a special one-hour Lion Dance Performance from Wan San Long Yi Dragon and Lion Dance Association ushering the “2018 Year of the Dog” for good fortune and prosperity. In his opening address at the gathering, Dr Morni Hj Kambrie (Founder and Chairman, SIDMA College UNITAR Sabah), extended his warmest wishes to every staff of SIDMA College attending the function as it was also a special event to bring together SIDMA staff from diverse background to a united SIDMA Family and reflect as well as to consolidate together on the objectives, vision and mission of the college. Dr Morni thanked all his employees for all the incredible work done together as one big family, wishing them the very best, and pray for all of their dreams and aspirations to come true. Together, you bring so much to the table, and I am so pleased. Have a great, happy and brilliant new year, and enjoy lots of good cheer, he added. Dr Morni also shared his aspirations of introducing other disciplines of studies, as currently SIDMA College has been very focus on certain niche field such as education. He felt that now it’s also timely to collaborate with other renowned and established institutions of higher education offering other disciplines of studies. Such actions will enable SIDMA to be more inclusive, reaching out to other related communities and assist them to transform to be more successful citizens, which is very much in line with the country’s aspiration of National Transformation 2050 (TN50). Such actions will also challenge SIDMA’s lecturer to be more multidisciplinary in their approach towards their teaching, comparing to current practice where their approach are more intra-disciplinary. During the unique event, the troupe of five “colourful, adorable and lively lions” graced the college compound amidst the beating drums, cymbals, and gongs. The lions, which symbolise power, wisdom, and good fortune ushering everlasting good luck, cheers, happiness, peace, friendship, longevity and prosperity for the rest of the year. SIDMA staff, students as well as toddlers from SIDMA Didi Childcare Centre watched in awe as the lion leaped and crossed stilts from one to another, performing their acrobatic manoeuvres, and gasped as it feigned falling over, thus capturing the attention of the amazed audience from the college as well as outsiders. The lion, while still crouching and balancing on pillars, presented a Prosperity Scroll to Dr Morni, who in returned presented Ang Pow package to the crouching lion. SIDMA College staff gathering is never complete without staffs’ Birthday Celebration. For this gathering, staff who celebrate their birthday on the month of January and February 2018 were specially invited to cut their birthday cake and blow their birthday candles while fellow staff singing “Happy Birthday” song. During these special event, three staff with new born babies were invited to receive the congratulatory package. Dr Morni also presented condolences token to Madam Riga on the demise of her late father, the late Mr Lenggean. The Red Team, organiser of this staff gathering also arrange various fun-based activates such “Let’s Drink Tenom Coffee”, “The Six Continents Quest” and more for the four other teams to compete and unwind themselves. Yellow Team emerged as the Champion, whereas Green Team and Blue Team were first and second runner-up respectively. High tea was served to all the participants at the closing of the event. Mr Arnin Asidin, Red Team leader extended his sincere thanks, appreciation and congratulations to all. Colleagues for their cooperation and collaboration to make the gathering a successful one. TEACHERS say they are willing to increase using online learning platforms if the content was more aligned towards preparing students for examinations. According to a study done by the Clayton Christensen Institute for Disruptive Innovation, in the United States, which featured Malaysia as one of its case studies, teachers need the content to match what will be tested in national examinations. The study, called “Blended Beyond Borders: A Scan of Blended Learning Obstacles and Opportunities in Brazil, Malaysia and South Africa”, focused on how a small sample of brick-and-mortar schools in these countries used online learning to deliver content in novel, more flexible ways. Christensen Institute director of education research Julia Freeland Fisher says discussions during the school visits – for the study – showed that teachers were still looking for better content to make meaningful use of blended learning, especially for core subjects. “Any teacher with a 1BestariNet Yes ID can upload their lesson sites to a nationwide repository and share it with teachers across Malaysia, allowing for the pooling of resources and the sharing of ideas and material,” she says, adding that the content is filtered by the Education Ministry to ensure quality. “Teachers can also use the available content and format them in a way that emulates or support students in preparation for examinations. Yeoh also says that new and relevant content are continuously added regularly and that textbooks and revision books are available on the FrogStore for free. She adds that there are currently more than 400 textbooks on the VLE and that FrogAsia has partnered with publishers like Penerbitan Pelangi Sdn Bhd and Oxford Fajar Sdn Bhd to provide content aligned with our national syllabus. “One of our content partners, EduNation, also produces free tutoring videos that are in line with our national syllabus,” she adds. Another point raised in the report is the use of blended learning models in the classroom. Blended learning differs from learning in a tech-rich environment, says Freeland Fisher. She explains that blended learning is a formal education programme where a student learns, partially or fully, through online learning with the student having some form of control over the time, place, path and maybe the pace they learn something. Data from online learning can also be used to inform and drive a student’s offline learning pathway. If it was just a tech-rich learning experience, she says technology is present in the classroom but the teacher is still in complete control of the learning experience. “Students are using the internet to do research, maybe they’re typing their homework on documents and emailing it to their teacher,” she says. However, the report points out that blended models should not do away with teachers or teacher-led lectures, small group lessons or face-to-face teaching. Rather, blended models offer a new way to teach in classrooms and schools whereby students may interact with content and teachers in a new way. According to the survey, an overwhelming 77% said Internet connectivity in schools was a pain point when it comes to using technology. More than half the respondents (55%) believe they needed more professional development in order to incorporate blended-learning into the classroom, says Freeland Fisher. Yeoh points out that teachers are actively encouraged to take part in the many teacher training programmes such as the Education Ministry Coach Programme, Hubs Programme and Frog Teacher Advocate Programme. The Hub is a central space established in existing schools, public spaces and buildings, teachers in nearby locations can gather to teach, learn and collaborate with other teachers to improve teaching and learning outcomes using the Frog VLE. Wanted – English coaches to bring out the best in our students. PETALING JAYA: A nationwide language coaching programme is being mooted to boost students’ command of English. The Parent Action Group for Education (PAGE) is hoping to assemble a “dynamic team” of coaches to improve the proficiency of the country’s 300,000 primary and secondary school students. The group’s chairman Datin Noor Azimah Abdul Rahman said it wants a robust English coaching programme to guide and inspire targeted students to become confident listeners, speakers, readers and writers of English. So, all coaches must be a “proficient user” based on the Common European Framework of Reference (CEFR) benchmark. As a first step, an online survey to gauge the public’s interest in participating was recently launched. The survey, she said, would show if qualified people were willing to coach small groups of students so that every child is given the opportunity to be proficient in the language and pursue his full potential. She said if the response was promising, a proposal would be presented to the Education Ministry. “If we can show that the exercise is sustainable, we hope the ministry can create a budget for it,” she said, adding that PAGE would capitalise on the expertise of remedial models used in other countries. The plan, she said, was to run the programme in a few pilot schools to test its feasibility. To participate, log on to www.pagemalaysia.org. Noor Azimah said the public has been concerned and critical of the low level of English language taught in schools. “Over 50% of fresh graduates are unemployed because of their poor command of the language and their weak communication skills,” she said. You are currently browsing the www.Teo-Education.Com blog archives for February, 2018.